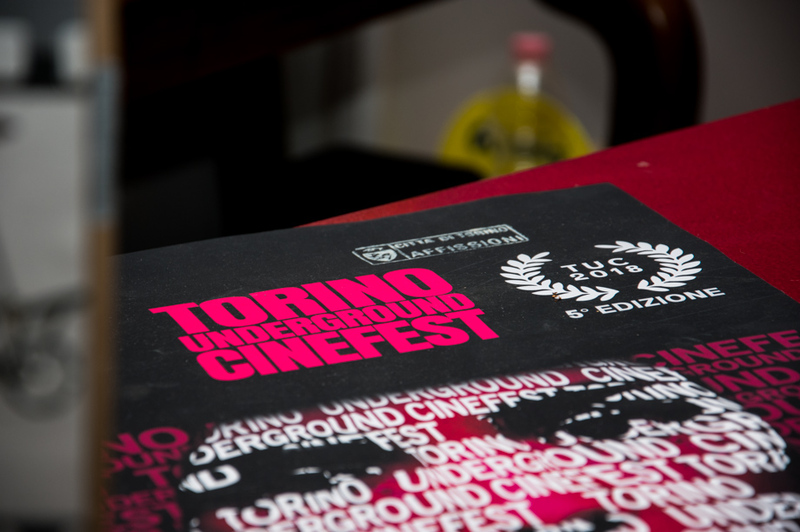 The fifth edition of the Torino Underground Cinefest, proposed by SystemOut and l’A.C.S.D. 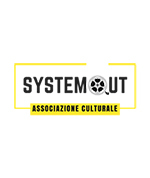 ArtInmovimento, and on stage from 25 to 27 march 2018 at Tourin’s Cinema Classico, concluded not long ago. As we announced, the jury’s job was not an easy one since the 28 selected films were all of considerable workmanship. And, while Federico Bianco and Annunziato Gentiluomo hosted the cerimony, all the recognitions were being awarded by the two juries . In the end, the 500 $ prize for the Best Feature Film was given by, by Fabrizio Odetto, Giorgio Perno, Luca Sartore, Alessio Brusco e Davis Alfano, to “The best of all worlds” by Adrian Goiginger “for the extraordinary ability to combine all the narrative arts: from direction to screenplay, from photography to the surprising skill of all the actors, for being able to outline a lucid, sympathetic tableau representing the desperation that arise from addiction, for having surveyed darkness with crudeness and poetry, making us touch humanity’s rock bottom, and for having given us, in the end, a glimpse of hope: the chance to get back from the abyss all the way up to salvation when, despite the terrible era we live in (that accustomed us to all sort of mischief), this film still achieves the goal to outrage and stir things up in our soul, it trascends to the next level and almost reaches true art: the one capable of sprouting revolutions, inside and outside us! For this extraordinary bravery, we believe this film deserve the Fifth Edition of Torino Underground Cinefest’s Best Feature Film Award”. The 300$ prize for best short movie was given by Annunziato Gentiluomo, Stefano Semeria, Chiara Trompetto, Silvia Lombardi, Luca Puggioni and Monica Merante to the german King Granpa by Martin Grau “for being so poetic, delicate, and also melancholic, and for being able to put a lot of focus on narration. It’s a story that masterfully concludes itself in just 15 minutes, without leaving anything to chance, and that brings the audience inside this fantastic world capable of making eternal the grandpa’s figure. A moving product that touches your soul”. Moving to the other awards, the Feature Films Jury awarded as Best Director Alexander Bak Sagmo (“Needle Boy”), with this motivation: “Disarming” is, probably, the adjective that best describes Alexander Bak Sagmo’s direction. Towards the sequence of scenes, outlining various slices of harsh reality, we feel disarmed, defenseless, and at the same time fascinated and shocked. With a mastery so hard to find in young artists, Sagmo was able to mix dreamlike elements and fragments of raw everyday life in a narrative flow that, on the one hand amazes for its apparent simplicity, and on the other one amazes for the complexity of the facets depicted and the emotions it raises. The eye of the camera – sometimes obsessive, sometimes discreet – peer into the characters’ soul, laying them bare much more than what appears on the screen; what causes intense commotion, awakens the conscience and induces the audience to partake in a pitiless trip inside our self”. Nicklas Søderberg Lundstrøm (Needle Boy) was declared Best Actor “for a well measured and minutely calculated performance that has given life to a complex character with a thousand facets. Nicklas Søderberg Lundstrøm is able to create a powerful synchronicity with the audience, which finds itself to be at one time startled, and at another time in perfect empathy with a character of many dispositional twists both gloomy and, sometimes, even relatable or justifiable. An exceptional writing meets an exceptional performance: Nicklas takes the hand of the audience and brings it, willing or not, in a twisting descent in the darkest recesses of a profoundly disturbed and deviant psyche, but with no doubt a fascinating one”. Xanthi Spanou (Bliss) received the Best Actress Award, “for the impressive finesse of her performance, owed to an undeniable attention to character building which made unforgettable her interpretation of Anna, making us partake in the cinéma vérité that is so hard to find nowadays. Oftentimes, in cinema, it’s much harder for a performer to deduct than to add, much harder to conceal, than to reveal. Xanthi Spanou showed an exceptional sensibility in hiding and revealing at the same time, fully succeeding in her intent to impart us the many implications of a tormented and controversial personality”. As regards to the Short Films, the Jury has given the Best Director Award to Martin Grau (King Grandpa) “for the lyrical language that sprinkles in the whole short, capable of giving value to the relationship between narration, fiction and reality. With this short, the director was able to express the intensity of imagination and the prowess of the narrative that comes to life in “a gust of wind” that harbors the light of a dream and the beauty of a connection that transcends time and wins over everything, even over death”. The Jury assigned to Lior Hersku (Fatherland) the Best Actor Award who “well endorsed by the short movie as a whole, expresses with authenticity and naturalness the motions of a young dreamer trying to transcend the social stagnation he’s bound to, embodied in the farm and the relationship with the father, spectacularly interpreted by Golan Azulay”. The Short Films Jury decided that the Best Actress was Flavie Delangle (Marlon) “for the intensity of her performance and the capability to illustrate her distress and the very strong feeling bonding her to the mother, superlatively performed by Anne Suarez, with an expressive force that goes beyond words”. There also were some Honourable Mentions in this section. The Short Films Jury has given to Akillas Karazisis (Freezer) the special mention “for his exceptional performance capable of showing the many facets of his character, not always supported by the film, in spite of the importance of the subject treated”. To the actress Haydee Leyva (Julkita), goes the Mention “for her impressive performance, fierce and excited, and definitively detached from the rest of the short. The actress embodies, with great skill, the duplicity of a woman, from submissive to butcher, highlighting the stormy range of emotions of the menstrual cycle’s days”. Last but not least, the winner of the People’s Choice Award was the greek feature film “Invisible” by Dimitri Athanitis. “I’ve seen the jury work with passion and professionalism, with great respect of the art itself and the selected authors. In my opinion, everyone could win. Everyone had a story to tell and an original language to express it”, says the art director Mauro Russo Rouge. We remind that the media-partners of the event are ArtInMovimento Magazine TorinOggi, Italia Che Cambia, Piemonte Che Cambia, the cinema portal Why So Serial? and The tips, while the cultural partners are Forword and l’IISS “Luigi Des Ambrois” di Oulx (To). The law firm Scozia, Iset e RecTv sustain this initiative with a volontary contribute.